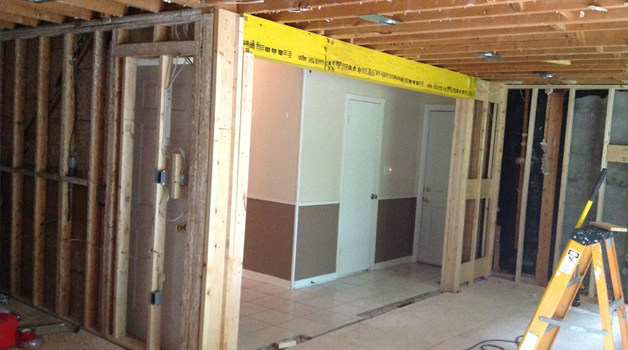 At Houston Remodeling Contractors, we specialize in removing or eliminating walls that are supporting load or weight from the structure above. 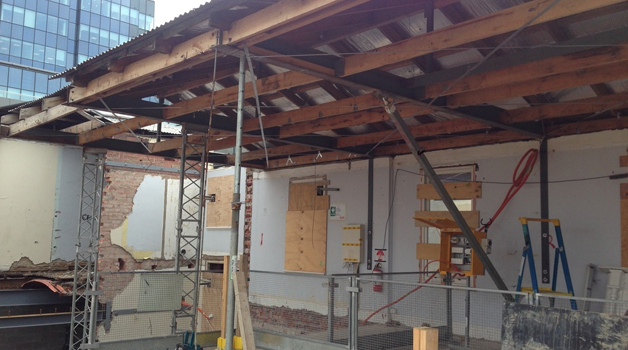 In our experience, 95% of the walls in a residential home are bearing some load or weight. Therefore call the experts to safely and professionally eliminate unwanted walls and open up your living space and enjoy your home. Believe me, I have seen it a 1000 times. A homeowner or inexperienced Contractor removes a wall. A few months later, the homeowner notices a sagging ceiling or wall movement. They may notice strange noises on the 2nd floor as they walk. We arrive and investigate and have to inform the homeowner that removal of the load bearing walls a few months ago has significantly damaged their home. Unfortunately we have to make extensive structural repairs not covered by your homeowners insurance policy. Not a pleasant conversation. Please don’t be that aforementioned homeowner. Call the Professionals at Houston Remodeling Contractors for a free consultation. We have experience . We know what we are doing. We have years of experience in utilizing Power Beams and other techniques to safety and effectively remove unwanted walls. We obtain permits. We handle all permitting for all our projects. We also handle all the design and plans for our projects. For our customers residing in areas where obtaining permits from the City is not offered like Katy, Tx, we have an Engineering team that will inspect our work and issue a report detailing all work performed for your piece of mind. Please remember unpermitted structural work or undocumented structural work will reduce the value of your home and your Homeowners Insurance Company may deny future claims associated with the structural work. Please call the Professionals at Houston Remodeling Contractors and avoid the nightmares. We are a General Contracting Firm. We normally handle all phases of a project, thereby allowing us to package all phases of your project and offer a package deal thereby saving you monies. We are fully insured , therefore offering you peace of mind during the construction processs.